Adults today can only fondly reminisce their childhood years of day-long frolic under the sun and countless hours playing outdoors and getting dirty and all. Kids today don’t lead a life as active as most adults once did. They are exposed to a digital world overruled by technology. Kids won’t have a hard time navigating a smartphone or any tech gadget, unlike most adults. Meanwhile, they lack the psychomotor skills to engage in active play and usually don’t spend as much time playing outdoors than kids before did. 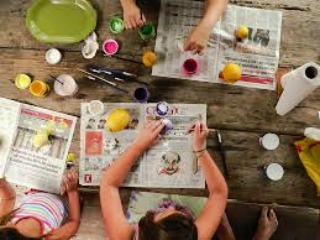 One more thing children today miss out on is the opportunity to really dabble in the arts despite the abundance of art materials, supplies, and opportunities. They can even get inspiration from the web but still, they’d rather spend all their free time glued to their smartphones and tinkering with all those apps that were unheard of in the past. Indeed, a lot has changed and in a way, new opportunities open up to children but they also miss out on others that are actually better for their health and well-being.